Honeywell MX127 1" NPT MX Mixing Valves. 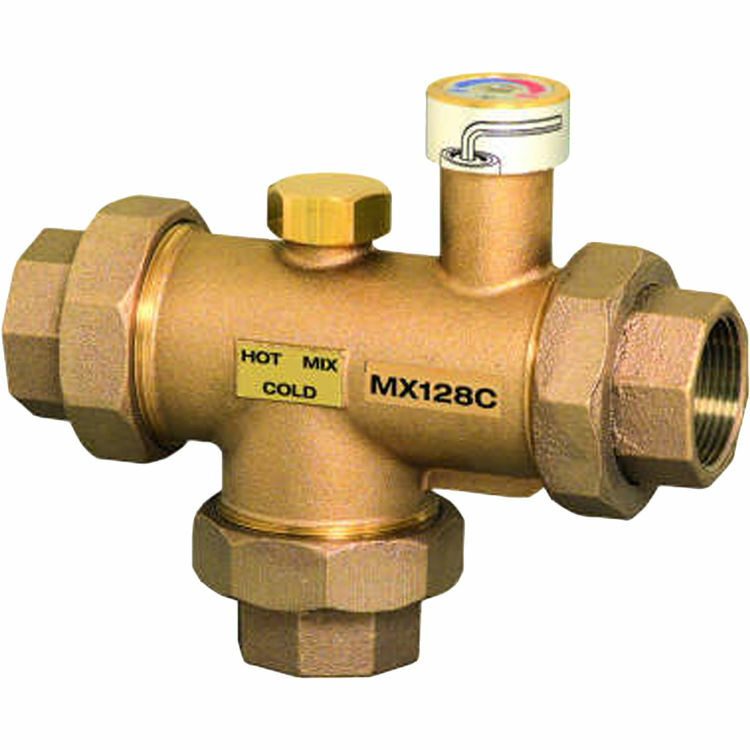 The MX Series is a state-of-the-art mixing valve that manages the hot and cold supply based on control settings. Accurate control of temperature provides energy savings, increased comfort and safety. The Teflon wear surfaces prevent calcium buildup. Dual purpose mixing or diverting valve. Wear surfaces Teflon coated to prevent deposit build-up. Tapped flange connections 2-1/2 in. and 3 in. Allen wrench for temperature adjustment included. Constant water temperature under different operating conditions. Proportional valve (control of hot and cold water). Flow reduction in seconds if cold water supply is interrupted. Maintains temperature with extremely low minimum flows. Install in any position, heat trapping not required. Recirculation connection for fast response.